New Horizons is now just a few days from emerging from its next-to-last hibernation. The spacecraft has been hibernating about 80 percent of each year since we left Jupiter in 2007, but that will all end in December when we wake up for two years of Pluto encounter and post-encounter data downlink operations. We began this particular hibernation period back in mid-January; it ends on Father’s Day, June 15. When we wake up the bird, she’ll be more than 100 million miles closer to Pluto than when we put her to sleep. Although we still have a little more than 300 million miles and a year to go, the mileage and time already traveled account for nearly 90 percent of the total journey - so we are truly in the last stages of the cruise from Earth to the solar system’s vast unexplored frontier! Our team is increasingly turning its attention to the encounter, and you can see it in many ways. One is that we’re hiring young scientists to help process and analyze the many kinds of Pluto system data we’ll collect next year. As PI, I’ve already hired three such scientists myself since last summer. They are (in order of their arrival) Dr. Amanda Zangari, Dr. Simon Porter and Dr. Kelsi Singer. Amanda earned her Ph.D. at MIT, doing a dissertation on planetary astronomy studies of Pluto itself. Simon did his Ph.D. in astrophysics at Arizona State University and at Lowell Observatory, studying Pluto and Kuiper Belt Objects. Kelsi took her Ph.D. in Earth and planetary science at Washington University in St. Louis, studying cratering on the icy satellites of the giant planets. These three hotshots and others like them, working for others on our science team, are bringing new expertise and resources to augment our work, and they are going to have the time of their lives exploring a new planet with us! After 50 years of successful planetary exploration - from Mercury and Mars to Uranus and Neptune - it’s rare these days for anyone, much less a freshly minted planetary scientist, to have the privilege of being on a mission to an unexplored place. Another way we can feel the onrush of next year’s encounter is that this summer’s spacecraft activities mark our last such wake-up during cruise. When we next wake New Horizons from hibernation, in December, we’ll only be about a month away from beginning the encounter. This summer’s hibernation wakeup will be a particularly busy operation. 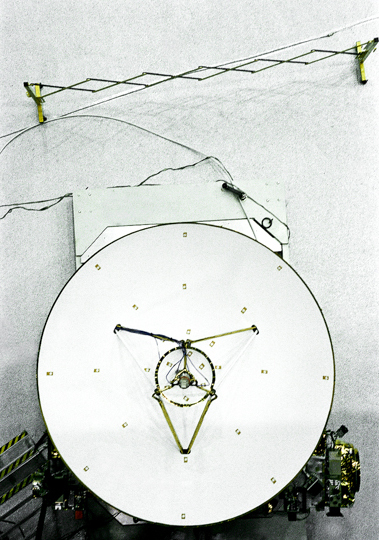 In addition to the complete checkout of the spacecraft’s primary and backup systems, and similar checkouts of all seven scientific instruments, we’ll also conduct our first optical navigation campaign to home in on Pluto, track the spacecraft to refine its orbit, do a host of instrument calibrations needed before encounter, carry out a small but important course correction, and gather some cruise science. A highlight of that cruise science will be imaging Pluto and its satellites to study their light curves (that is, how the brightness of each body varies as it rotates). This can be done from Earth, but New Horizons has the advantage of seeing Pluto and its moons from a different angle than can ever be observed from Earth or Earth orbit, providing some new information about the physical properties of the surfaces of these bodies. One outcome from these data, which will be taken in July, will be a rotation movie showing Charon orbiting Pluto - viewed from a distance about 10 times closer to the Pluto system than we are here on Earth. 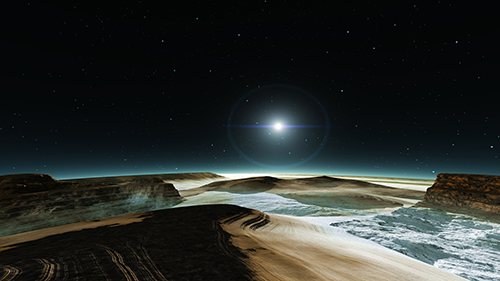 This new artist's concept of the Sun as seen from Pluto's surface was created at the Johns Hopkins Applied Physics Laboratory with expert help from Pluto scientist and mission co-investigator Marc Buie, of the Southwest Research Institute. So stay tuned - we’ll keep you abreast of the many activities occurring this summer and also as we enter hibernation for the last time in August. There is a lot to tell you about over the next 12 weeks, and this is just the warm-up act. Showtime - the start of the encounter - begins in just six months. 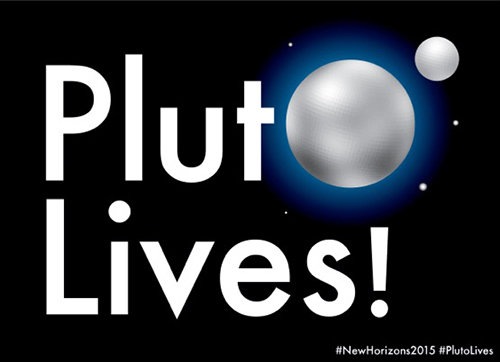 This is what New Horizons was built for, and what we came to do. In a very real sense, the mission is emerging into its prime. With that, I’ll close by saying thanks again for following our journey across the deep ocean of space, to a new planet and a truly new frontier. Until I write again, I hope you’ll keep on exploring - just as we do!